Same Day Service & Emergency Service Available! Extend the life of your A/C unit and keep it running at maximum efficiency with a semi-annual service. Keep The Whole Family Comfortable With Energy Efficient Heating And Cooling Solutions. 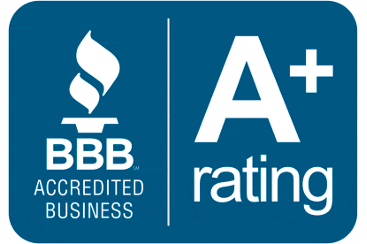 Our goal is to be your number one go-to company in the Phoenix area for all of your air conditioning & heating needs. Commercial HVAC Repair And Service By Highly Trained Technicians. All of our technicians are honest, knowledgeable, friendly, and clean cut. 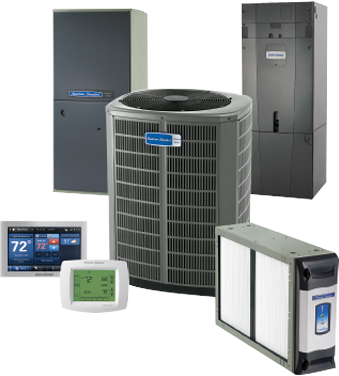 We have a home warranty and Airamedics is the company that was called to fix our AC issue. They were very pleasant to deal with-- not only calling to let us know they were on their way, but to inform us, parts ordered had arrived. Extremely professional and worked very hard to get our AC up and running again. The owner even came to assist. I would HIGHLY recommend Airamedics! The repair person for Airamedics showed up promptly, had a clean appearance and performed the repairs on both of my air conditioning units promptly and effectively. As he was leaving he explained what the issues were and then offered to come back and fix any issues on the units free of charge if anything else surfaced. I would recommend them as a service for repairs of your air conditioning or heating. I called my home warranty provider for a service call to repair my broken heater. Josh was very professional, accurate, and efficient. I'd recommend Airamedics highly. I will recommend this company to anyone. They made every effort to get to my house to fix my ac unit even though they were swamped. When they were here they were very professional and efficient in diagnosing and repairing the ac unit. They are also very friendly and informative. We had the guys from Airamedics, LLC come out to service our Air Conditioner. They were very nice and seemed very knowledgeable. They performed the service in a fast and professional manner. I would definitely recommend them to my friends and family. Thank you again for the great service. Airamedics phone staff and technicians were very professional and polite. The technicians actually spent the extra time to monitor my A/C unit while it charged and ran. They worked efficiently and answered all of my questions. It was 108 degrees today so their quick turn-around was absolutely vital to me and my family. Thank you Airmedics ! Our thermostat kept going up even though the a/c was on. We smelled a burning smell coming from the attic. Airamedics diagnosed it as a burned out blower motor, replaced it for $350. Said cause of problem was dirty filter and recommended changing it monthly. Was courteous and professional. We used Airamedics because a friend recommended them and because they were the first techs we could get to fix our A/C that day.ice from them. One of the best companies I have done business with ever. He and his assistant were not only Clean-cut, professional, honest, hardworking but so fair and accommodating. Highly recommended. Excellent price on a new AC unit and installed so well. Not often that one finds such fabulous service. Would not hesitate to Call them.se was incredibly polite and professional. Serving: Ahwatukee, Apache Junction, Chandler, Gold Canyon, Gilbert, Mesa, Paradise Valley, Phoenix, Queen Creek, San Tan Valley, Scottsdale, Sun Lakes, Tempe and surrounding areas. Serving: Nashville, Hendersonville, Brentwood, Franklin, Goodlettsville, and surrounding areas. Copyright © 2018 Airamedics.com. All Rights Reserved. Designed by BlueSoft.